So many labels on our clothes. So many symbols on those labels. 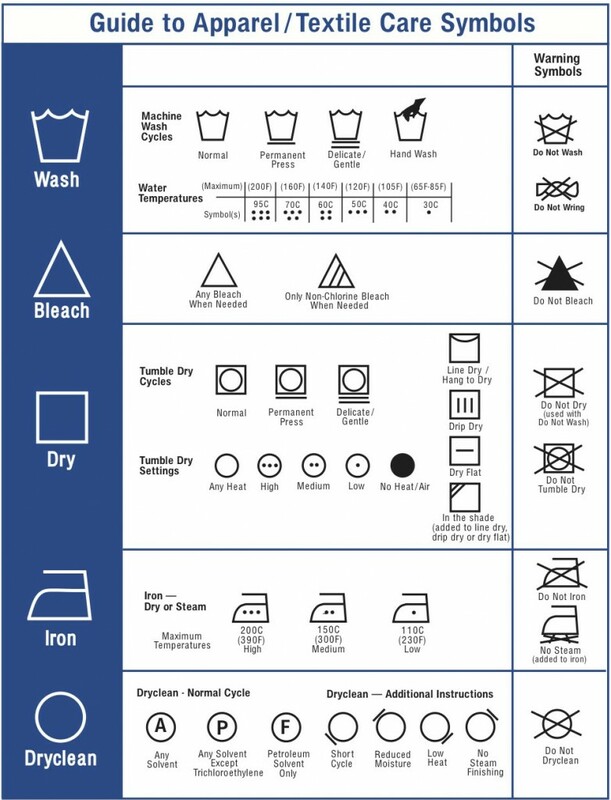 You can’t be expected to remember them all, so here’s a list of the symbols with explanations so you can take care of your garments properly. It just makes us feel better.